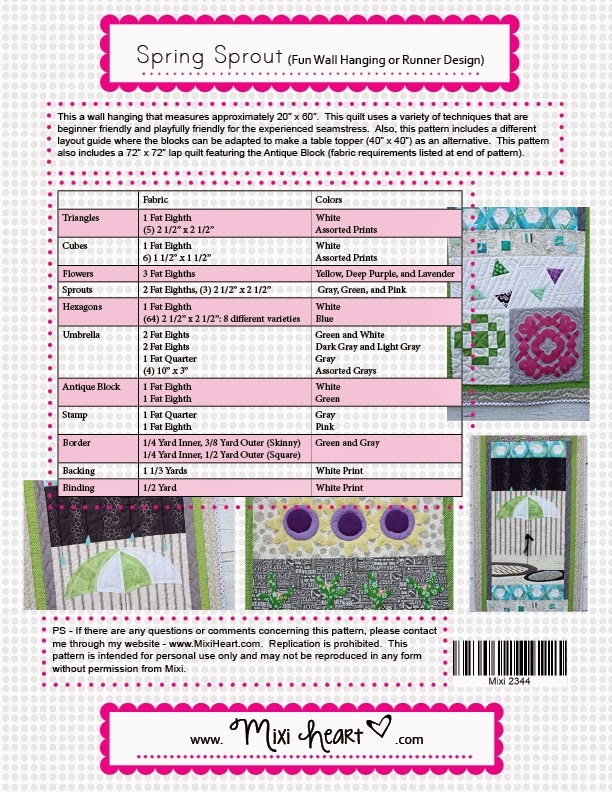 Well, I am so EXCITED to share the first of my new five patterns I am debuting at Quilt Market. I've created a new series of Skinnies. 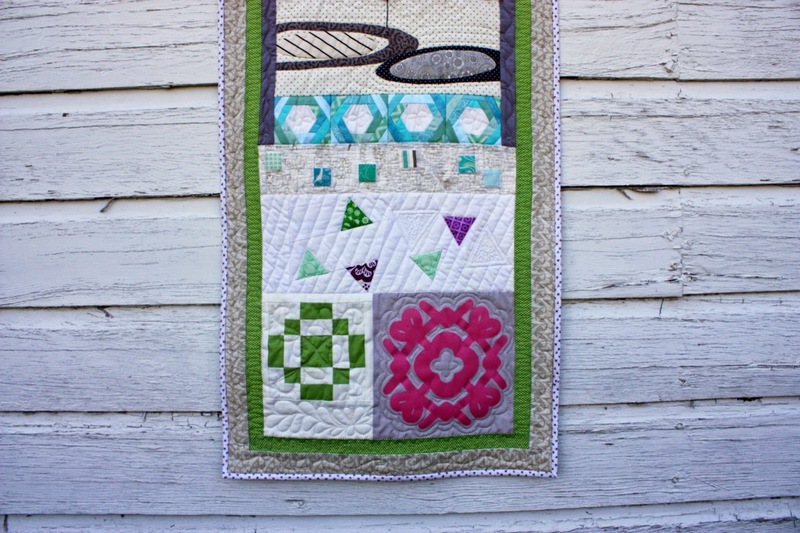 This quilt like all of the others includes techniques that perhaps one hasn't tried. I have to admit that I enjoy making all of these little blocks. I wish I had more time to make pillows of all sizes and quilts featuring each block (but alas I don't). However, I would love to see what others come up with! 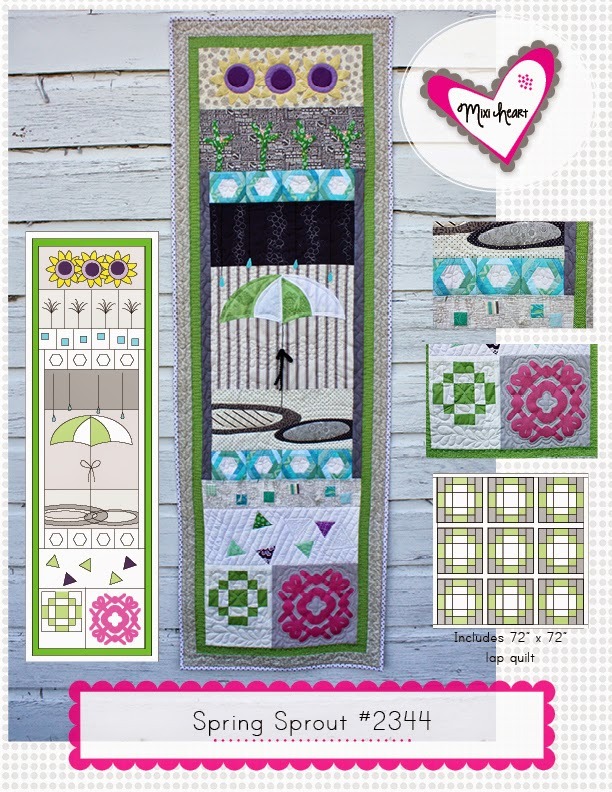 Speaking of featuring blocks, one element that this new series includes is a 72" x 72" lap quilt. I've wanted to include this because I have always wanted patterns that keep giving. 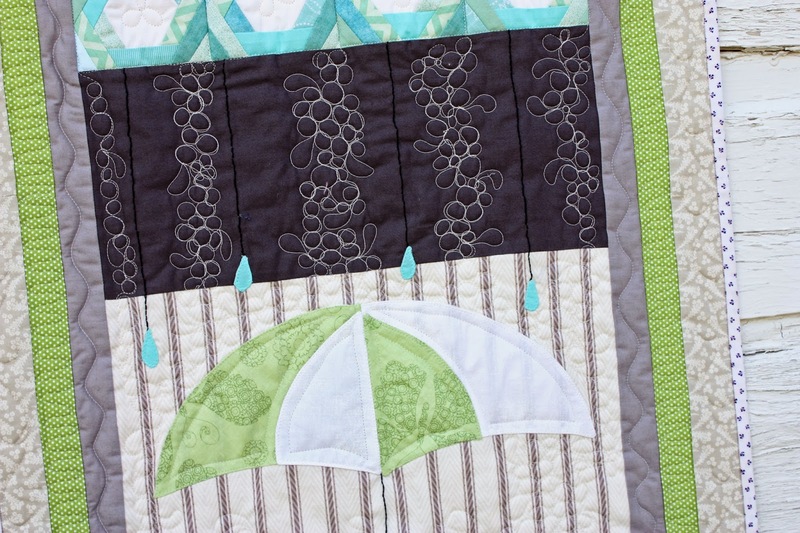 It is funny because some of the first quilt patterns I created used this concept. 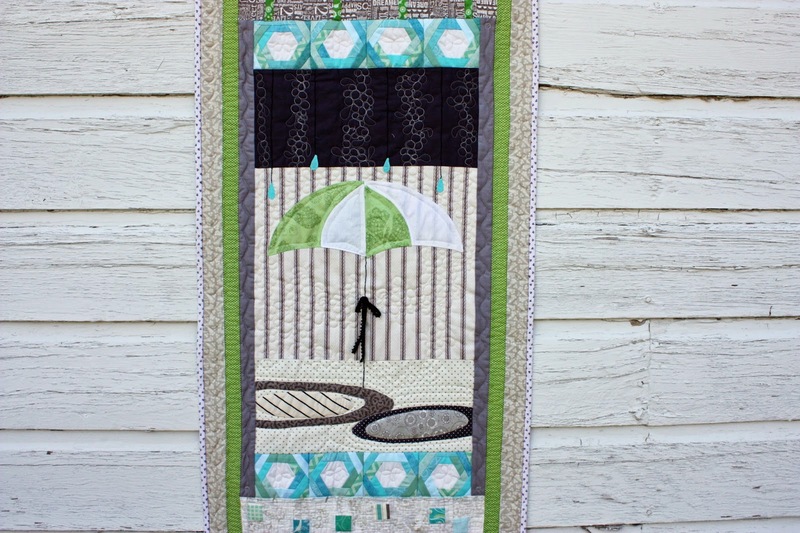 So I am excited to get back to this featuring a fun large quilt! 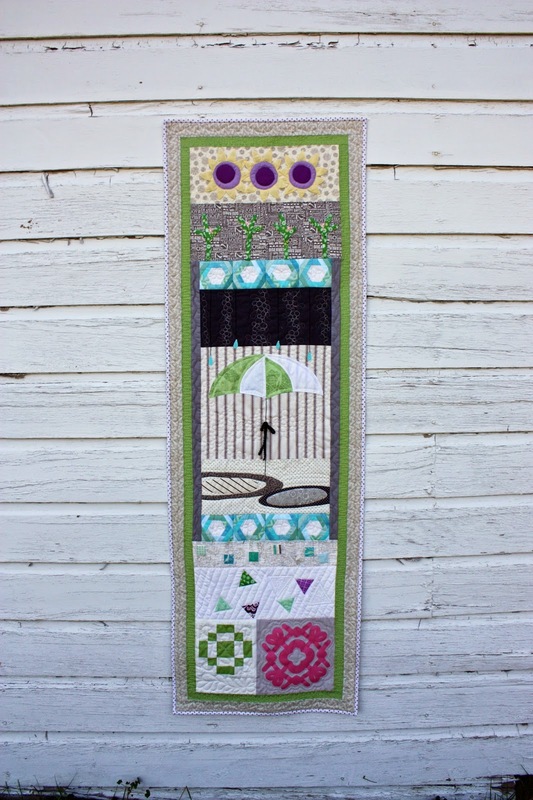 I hope this quilt designs conveys little bits of modern influences. Being what I think is a traditionalist at heart the modern is fascinating to me. And I have seen it creeping into my designs lately. Speaking of modern I was able to use a couple new modern quilting techniques as well. 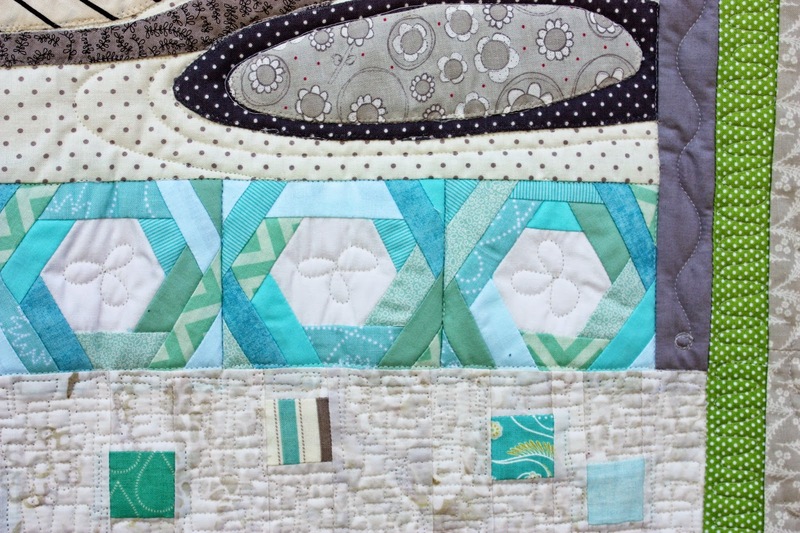 You might be able to pick out my negative space quilting there in the triangles block. Another design element that I love right now is the stamp appliqué. It is fun. 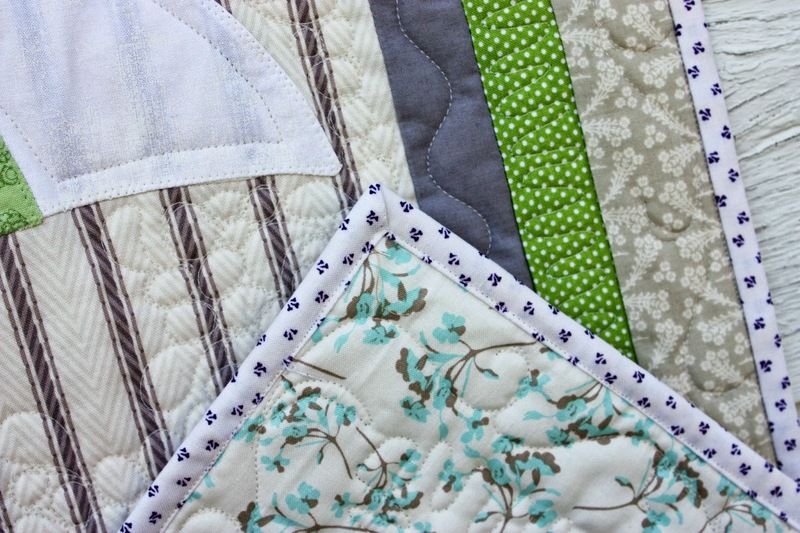 I love the transformation of these with each season's quilt (stay tuned and I will point them out). This is the pink and gray block. The umbrella pulls the whole Skinny together. Spring does bring that renewed freshness that washes away winters long visit. Also, the other quilting was understatedly fun in a simple way. Finally, the binding is from one of the newest shirting fabrics from Penny Rose, Riley Blake's new sister company. "Every Flower must Grow through the Dirt"
So beautiful! You have been super busy! Love!!! Nice work, can't wait to make this one! 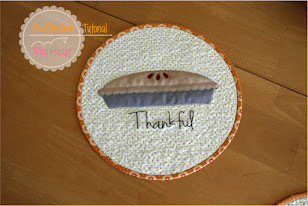 I haven't been on your blog for awhile so i thought Id stop by:) I loved it! 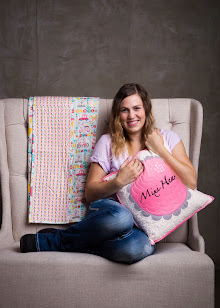 Your quilts and your stories are beautiful. Michelle you are so inspiring and talented Im proud to call you my SIL..